There are plenty of cheap plastic desktop label printers available on the market. 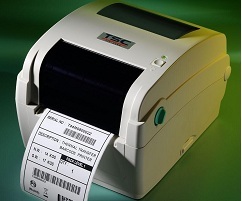 But the TTP-244 Plus thermal transfer barcode printer is the only inexpensive solution that offers a powerful processor, generous memory, internal scalable fonts and the world’s most popular bar code printer language emulations in one small package. 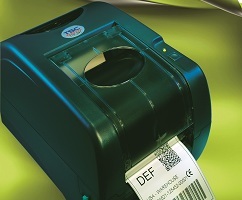 The TTP-244 Plus is ideal for customers looking for a high quality bar code printer, coupled with low ownership costs. The TTP-244 Plus is competitively priced, comes with a two-year warranty, and accommodates a 300-meter-long ribbon, which keeps both daily and lifetime operating costs lower than other comparable printers. With its small, compact footprint and dual-motor design, the TTP-244 Plus is perfect for a wide variety of label and tag printing applications – everything from shipping labels to compliance and general purpose product-identification labels & tags. The TTP-244 Plus supports PDF417 and MaxiCode two-dimensional bar codes used to print complex transportation formats – a feature that makes it ideal for automobile service shops, stock rooms, and walk-in shipping and mail centers. The TSC™ TTP-245C series of desktop thermal bar code printer, with its new, smaller footprint, offers the high performance that customers have come to expect from TSC™. 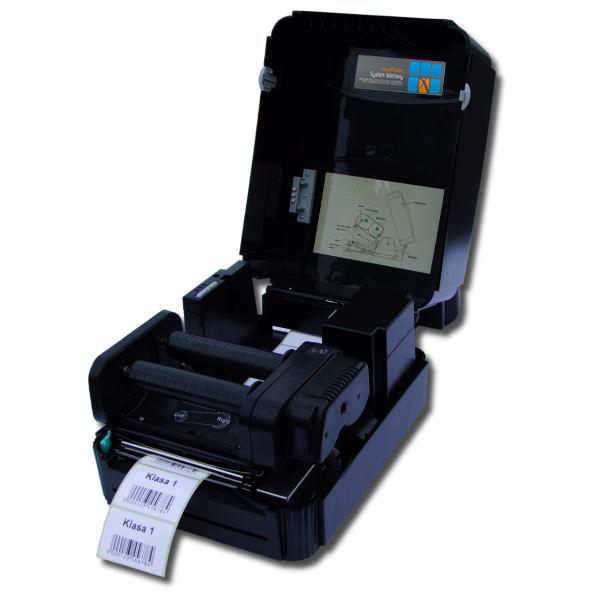 Durable, reliable and fast, the TTP-245C generates 4-inch-wide labels, tags or receipts at up to 6 ips, offering a price-performance combination that is unmatched by other desktop thermal bar code printers on the market. The TTP-245C’s easy-to-use design speeds up ribbon and media loading. And with the smallest footprint ever for a TCS 4-inch desktop printer, the TTP-245C series easily fits into cramped workspaces. TTP-245C series includes the TTP-343C and TTP-244CE printers. The TTP-343C offers 300 dpi resolution and is ideal for 2-D bar codes, fine text and complex graphics. 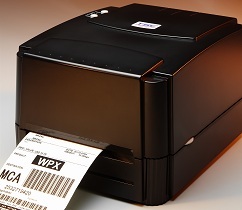 The basic model TTP-244CE, the lowest-priced of the three printers, offers an extensive suite of bar code labeling features, including 4 ips speed and a standard USB 2.0 interface. The TTP-247 series holds up to a 5-inch OD roll on a 1-inch core and, using an optional external media hanger, can accommodate a full 8.4-inch OD label roll on a 3-inch core. With its many performance features and budget-friendly price, the TTP-247 series is by far one of the most attractive thermal transfer bar code printers on the market.